As the cold weather approaches, wrap your self in warmth with this Personalized Photo Collage Fleece Throw. 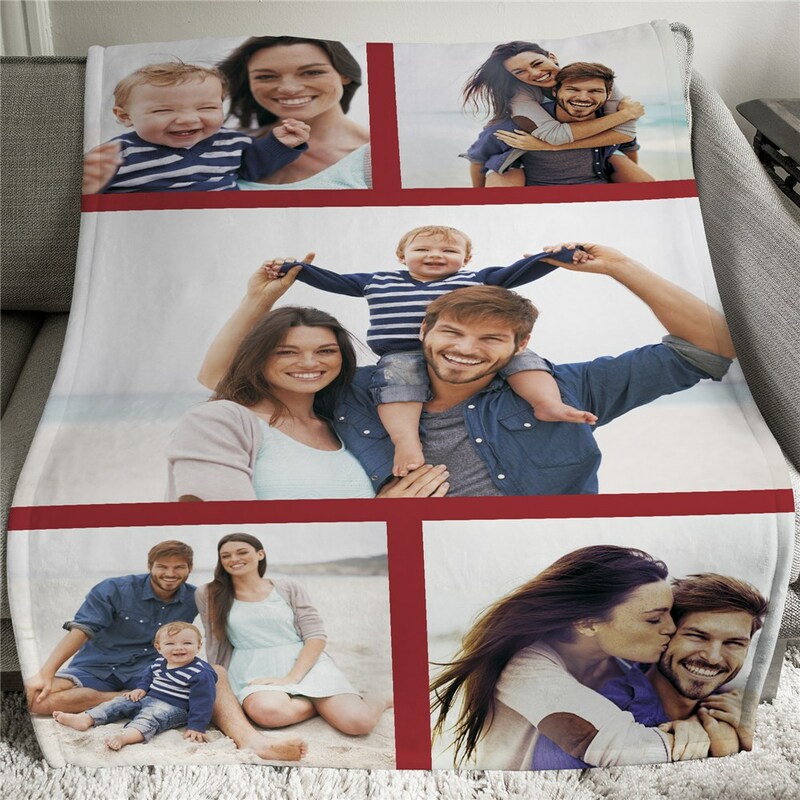 Make your Personalized Photo Blankets extra special when you add any 5 of your favorite photos and your choice of background color to create a unique way to display those special memories. Great as a holiday gift or just something special for your family to enjoy. • Constructed of super-soft, micro fleece polyester. • Cuddle in this plush indoor/outdoor throw/blanket. It’s a very nice throw on when your traveling, and soft and have pictures of your family with you.. It was a gift and he loved it. I loved the material and the picture quality.